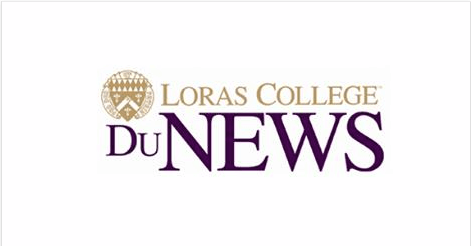 DUBUQUE, Iowa – Loras College, Iowa’s first college, has been awarded a $10,000 grant from the Dubuque Racing Association (DRA). The funds will support the creation of a science, technology, engineering and mathematics (STEM) innovation laboratory in the College’s St. Joseph Hall of Science. The new facility, estimated to cost $12,500, will add to lab space that currently houses 3D printers and tools, and will provide students with the ability to better make connections between STEM disciplines. In addition, funds are also being donated by alumni and friends of the College for more equipment to further supply the lab. In the lab, students will design and build prototypes, test scientific theories, and use technology and mathematics tools to analyze what they have created. The projects involve physical design and 3D printing, electrical circuit design and construction and programming software for embedded computers. Students will engage in projects that range from first year and senior year design projects to design and build projects for internal and external customers. In addition, the lab will be used in numerous community outreach programs hosted by Loras for area youth, as well as by eastern Iowa STEM teachers who study in a state-sponsored professional education program at Loras. Renovation is underway with the entire project scheduled for completion by December, including training students in use of the equipment, outreach and classes being held within the space.